The tournament starts Thursday, Jan. 31, with the Raiders taking on Hutchison. The girls' team plays first at 3 p.m., followed by the boys' squad at 4:30 p.m. KUCB will broadcast the game live on 89.7 FM. The Raiders played a number of the teams they'll face in Seward at the Delta Dean Cummings tournament earlier this month. Clausius said that means they know what they need to do to be successful. "Trying to move the ball on offense. Playing tough defense man-to-man. Seeing if we complete one possession at a time with them," he said. "I give Hutchison credit. They won the Delta tournament and they're a good team. We're looking at trying to worry about one possession, and hopefully we can be right there at the end." Meanwhile, the Raider boys (3-2) are excited to get a second crack at Seward, who beat them earlier this month, 75-69. "They stole one from us in Delta and left a pretty bad taste in our mouths, so we're looking to put together a whole game," said boys' Coach Riley Spetz. "We played three quarters that were pretty good, other than a few mistakes. But there's definitely a lot of room for growth. We look forward to the chance to play them again, just as they probably look forward to the chance to play us again." To win, Spetz said the boys will need to focus on valuing the ball and rebounding. "We're in a good spot as far as kids being in shape," he said. "We just have to find a way to mix our style of play with the team that we have. Once it all comes together, I think it will be a good thing. We haven't figured it out yet, but we're working towards that." KUCB will broadcast all of the Raider games live on 89.7 FM. The tournament starts Thursday against Hutchison. The girls play first at 3 p.m., followed by the boys at 4:30 p.m. On Friday, the girls take on Eielson at 3 p.m., followed by the boys at 4:30 p.m. Finally, on Saturday, the girls play Seward at 2 p.m., followed by the boys at 3:30 p.m.
You can find more information and the full schedule at KUCB's Facebook page. Unalaska's girls' basketball team (1-4) will play their first home games of the season this weekend. The Raiders host Sand Point on Friday, and Coach Casey Clausius said the teams haven't competed against each other in years. "We don't know what to expect," said Clausius. "They are 1A. They're going to shoot a lot of shots. We're going to have to play good defense and work harder than them." The girls are coming off their first win of the season against North Pole at the Delta Dean Cummings tournament. Clausius said they're hoping to add another. 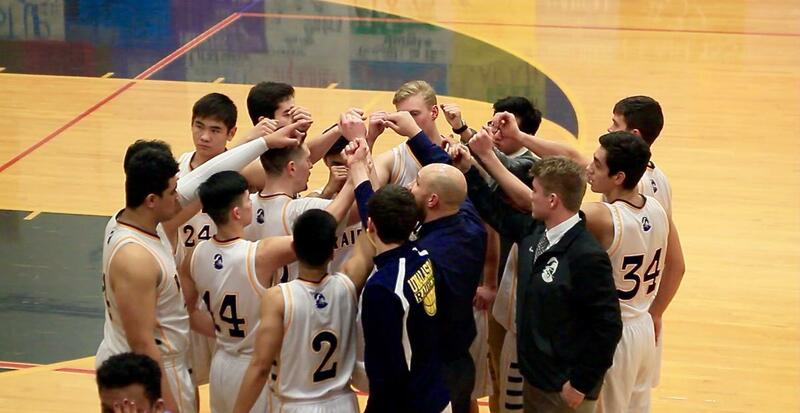 The Unalaska Raiders are heading north for their next basketball games. Thursday morning both teams will face off against Kotzebue in Delta Junction. The boys' are coming off two wins at home against King Cove. Coach Riley Spetz says this week their focus will be on rebounding. Unalaska’s boys’ basketball team (2-0) started the season with two wins over the visiting King Cove T-Jacks. On Thursday, The T-Jacks led the Raiders by one after the first quarter, but Unalaska slowly pulled away winning the contest 81-62. The Raiders were led in scoring by John Esnardo who scored seven threes in the first half, finishing the night with 25 points. On Friday, King Cove was plagued by foul trouble. By the end of the final period, the T-Jacks had only four players left on the floor. Unalaska picked up the second win 72-61.